As a convert to the Catholic Faith, one of the things I’ve always felt a bit behind on is friendship. You probably wouldn’t be off the mark to call me envious of the women I know who grew up in circles of Catholic family and friends. I know women who have gone through life in that community; college, dating, marriage, early parenting. They share all of those moments with other women who share the same world view. Don’t get me wrong, I have my own group of dear friends that I grew up with and experienced those same stages of life with. But, no matter how lovely they are, it’s sometimes difficult to share my whole self with them, my whole new self, because there is a framework that is missing. And people, especially women, need those friendships. I’ve been feeling a deep call to be more intentional with my friendships. I need to nurture those real-life friendships I already have, despite worldview differences, with purposeful in person contact. And, I desperately need to seek out solid Catholic friendships, too. 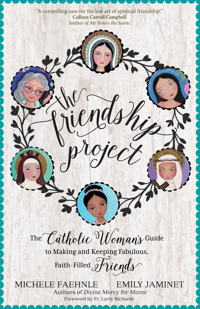 So, when I heard that my friends Michele Faehnle and Emily Jaminet (authors of Divine Mercy for Moms) were coming out with a new book, The Friendship Project: The Catholic Woman’s Guide to Making and Keeping Fabulous, and Faith-filled Friendships, I could not have been more excited. 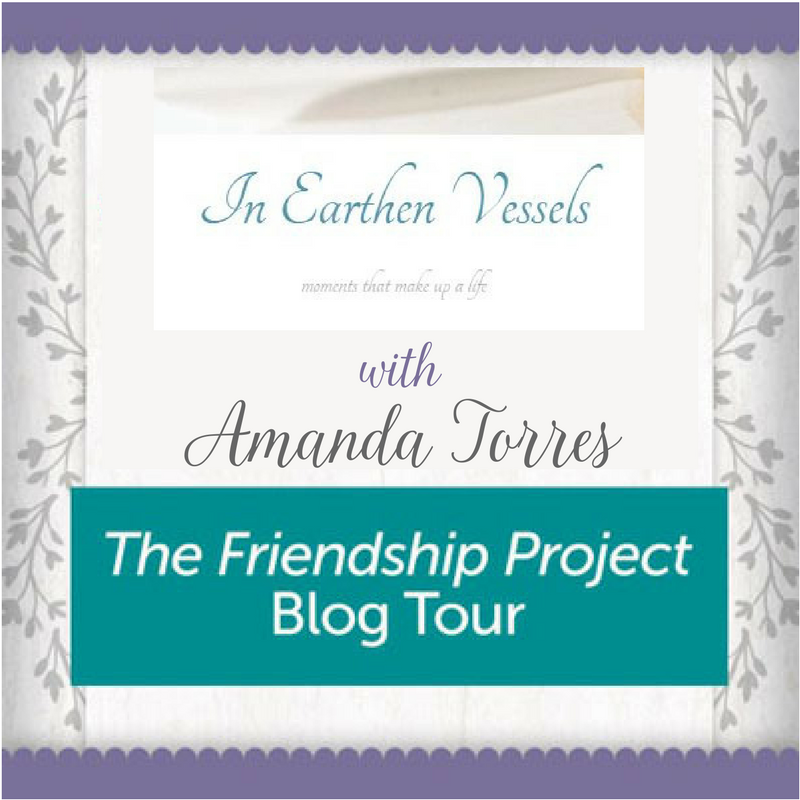 Michele and Emily explore friendship through the lens of virtues as exemplified in the lives of 8 pairs of Saints who were also friends. Each chapter explores one virtue with a pair of Saint friends, interspersed with relatable anecdotes from Michele and Emily’s real life (future Saintly) friendship. They also address virtue specific obstacles and steps for making and keeping friendships based on those same virtues. friends, we will take a deeper look into particular virtues that will help us become better friends and how their spiritual friendships on earth helped them become amazing saints. It is not easy to live a virtuous life, but Christ gives us graces to persevere if we ask for them and desire to become holy. these saints—through their friendships—influenced, mentored, and assisted each other in living lives of heroic virtue. When we allow the right people to influence us and help us, especially in the spiritual world, we can be transformed! With Christ as our key example and the saints as living proof, we can learn a lot about friendship. If you can learn to be a better friend, it will impact the relation-ships in all areas of your life. This excerpt from the introduction of The Friendship Project is reprinted with permission of Ave Maria Press. This is a book that all Catholic women, really all women of faith, should read. And, it just so happens, Michele and I plan to read and discuss the book this fall in our Facebook Book Club. So, check out the group, and join in the fabulous and faith-filled conversations!